Mount Clemens Hockey Celebrates Over 25 Years of Excellence! The Mount Clemens Hockey Club is a Non-Profit 501C3 Organization that was founded in 1994. Over the past 25 years, the MCHC has been home to over 10,000 young boys and girls participating in the sport of hockey. 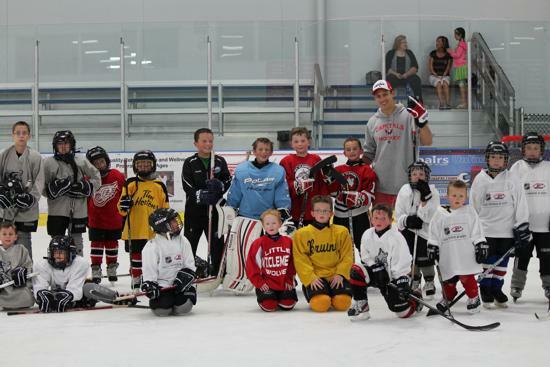 The MCHC offers Instructional, House and Travel hockey at all age levels. The MCHC is a member of the Michigan Amateur Hockey Association and USA Hockey. We are proud to call the Mount Clemens Ice Arena our home arena. This wonderful facility features two ice sheets, full concession stand, B&R Pro Shop, and many other amenities. The on-ice sessions will consist of power skating, stick handling, shooting and passing. Our main objective is creating a quality learning experience for the young hockey player. We will stress the importance of mastering hockey's basic fundamentals. Please see the registration flyer below for more information. Congratulations to the Mite Bruins for winning the ADRAY 8U Half Ice State Championship!